“I am not a children kind of person. I don’t like kids, I don’t gravitate towards them, they make me nervous when I’m around them…I didn’t particularly like myself as a child. I feel about kids the way I feel about most people, which is most of them are annoying. Children are no exception — they’re just like annoying short people.” — Hank Azaria, on kids. 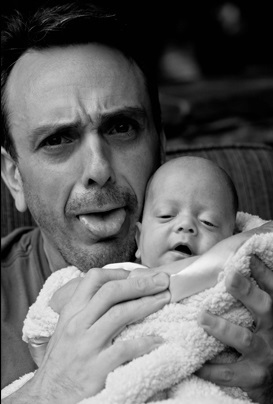 Hank Azaria can’t quite understand why anyone would want to be a parent. So, he starts filming a documentary asking his actor friends about being fathers and what it’s like raising kids. A short while into the project, though, Hank gets a big surprise. He finds out he and his long-time girlfriend will soon become first-time parents themselves. Well, that changes things a bit now doesn’t it? The first episode in this web series is fantastic. It’s full of heartwarming nuggets of advice and insight from some very famous folks like Jim Gaffigan, Mike Myers, Rainn Wilson, and Kevin Bacon. What’s the best piece of advice anyone has ever given you about being a parent?